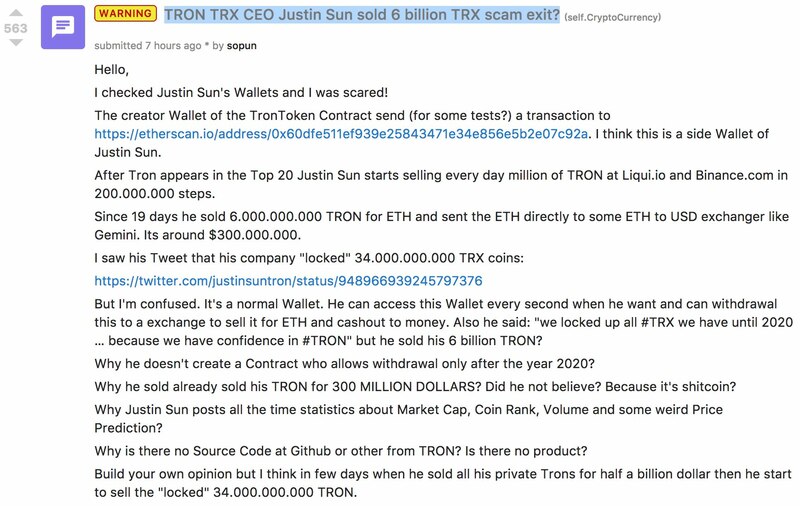 A Reddit post alleged that Justin Sun sold billions of TRX tokens, leading to FUD and a dip in TRX price. The TRON founder has now clarified the situation. TRON (TRX), one of the fastest growing tokens leading into 2018, took a tumble after a Reddit post alleged that TRON founder, Justin Sun, has sold over 6 billion TRX over the past three weeks. 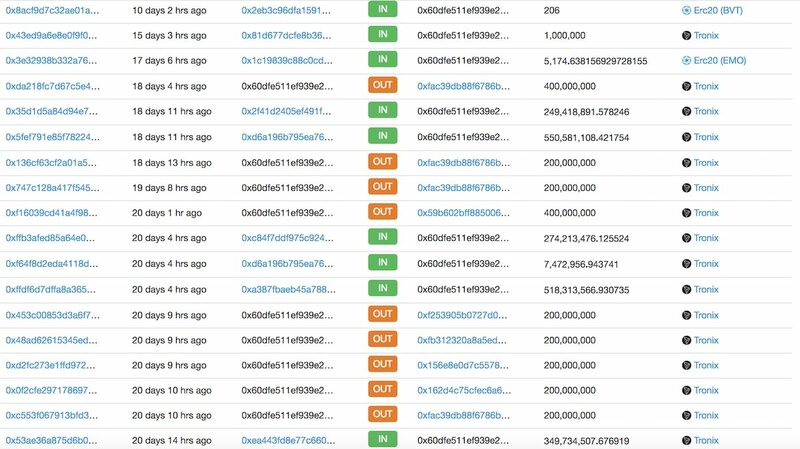 The Reddit post points towards a wallet (0x60dfe511ef939e25843471e34e856e5b2e07c92a) and claims that it belongs to Justin Sun, and shows that 6 billion TRX were sold for ETH and cashed out for hundreds of millions of dollars. The poster then goes on to question the project’s legitimacy, worrying investors and leading to a dip in TRX price, which went from a high of $0.20 to a low of $0.14 today. 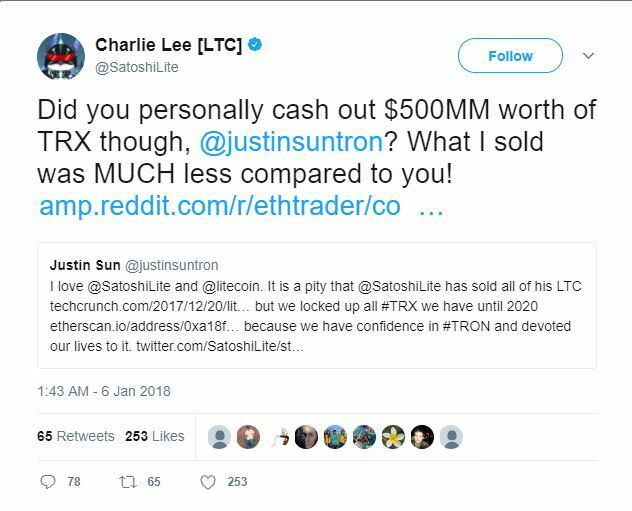 Following the allegations, even Litecoin creator, Charlie Lee sent out a Tweet, asking Justin Sun whether he sold his TRX worth $500 million. Interestingly Justin had earlier said that Charlie Lee selling his LTC was ‘a pity’. 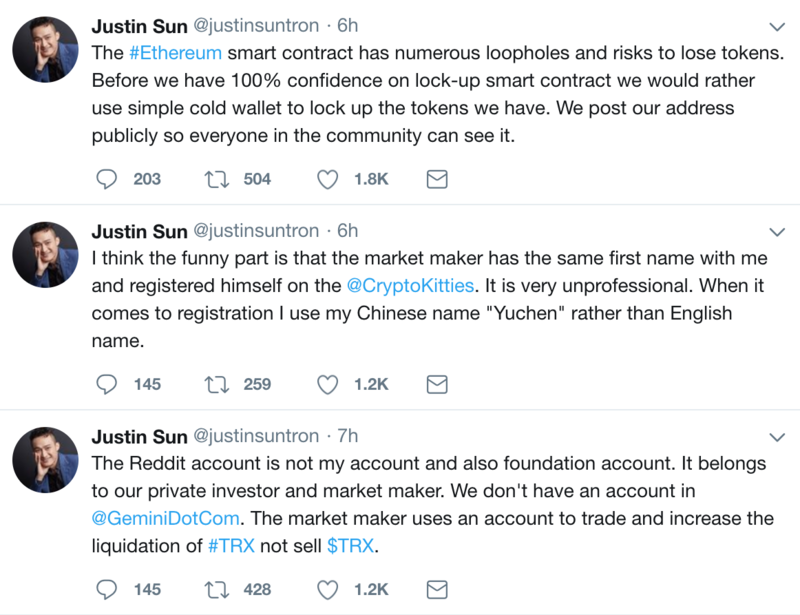 However, Justin Sun responded to the Tweet and allegations, stating that the wallet in question belongs to a private investor and a market maker, who provides liquidity by buying and selling TRX tokens. After the clarification, Charlie Lee wrote back, thanking Justin for the quick response and deleted his previous Tweet. 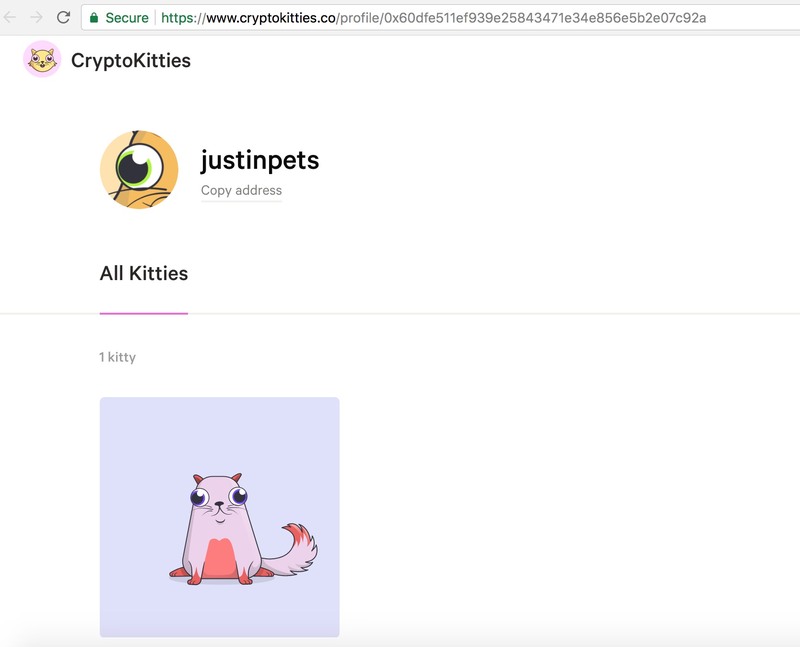 Additionally, if you look at the wallet in question, the owner does not just sell TRX but also buys them back regularly. Whether or not TRON will deliver on promises remains to be seen, but this latest incident appears to be an example of poorly researched posts gaining traction due to a section of the community jumping to conclusions. Fortunately, Justin Sun was quick to respond, and TRX price seems to be rising after the slump, and may recover soon.